A lonely urban tree at night. Starting with a rough “sketch” of the scene, I used the two months period to enhance it slowly, object by object. The models used are “extracted” from the streets of Valencia, using eye-measuring: I don’t like to appear as a fool measuring the streets with a tape! 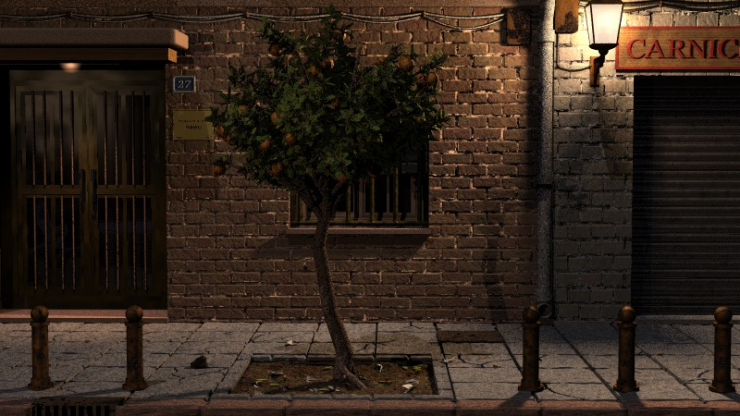 🙂 I used things seen here and there to create an imaginary street for my orange tree. 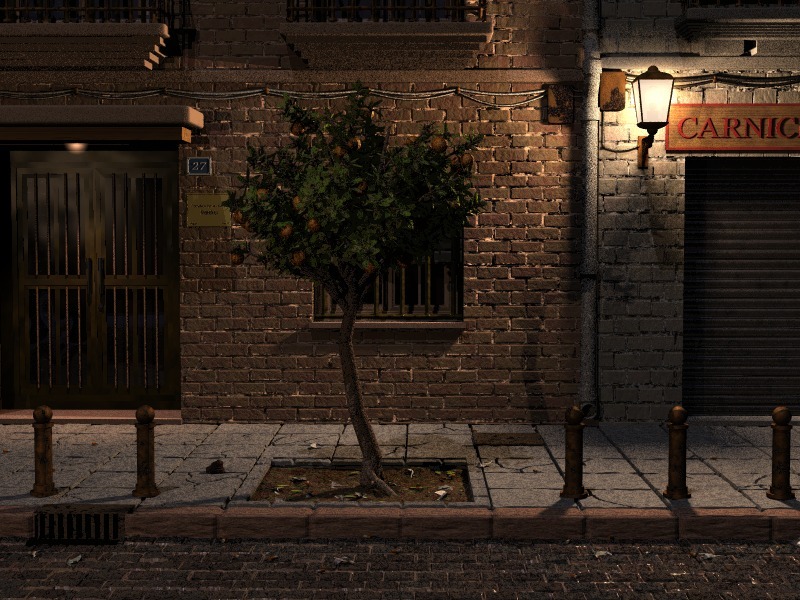 After many light tweaking (fade distance, fade power and color are very important for nigth scenes), the first “final” rendering was excesive, perhaps more than a day. 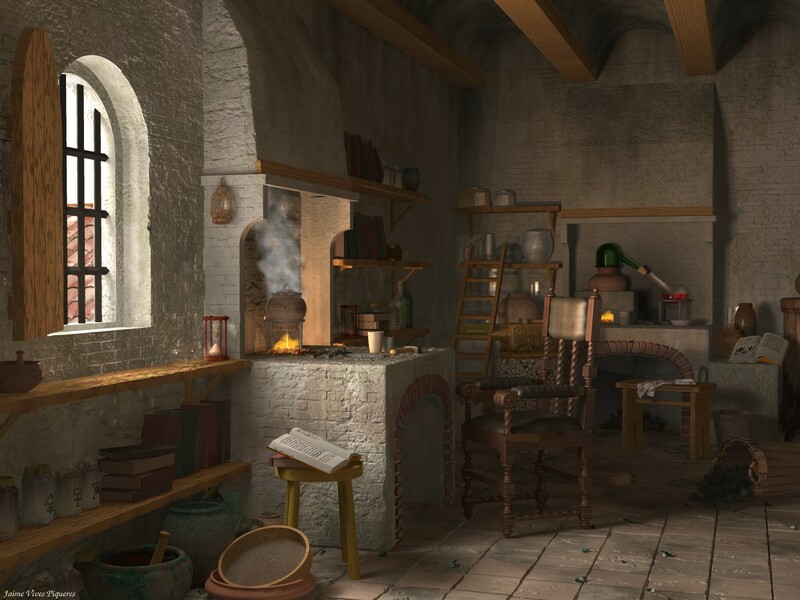 So, I reduced the area_lights, perhaps too much, I know, but the result doesn’t looks too bad.